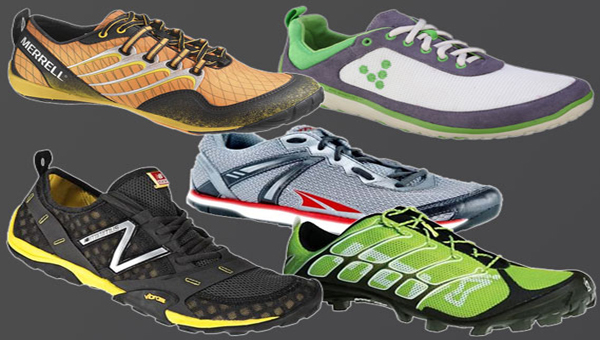 Minimalist shoes have become increasingly popular among runners and Crossfit athletes. Many studies have come out supporting the idea that running barefoot is better for your body than running with the most high tech padded running shoe. In ancient times people ran barefoot or maximally with sandals on. The studies have shown that running with minimal gear on your feet can stretch and develop muscles that are restricted by traditional running shoes. When wearing the traditional shoes it forces you to land on your heal which causes a pounding that has to get absorbed by the ankles, knees, and spine. When you run barefoot you are almost forced to run on your toes, which absorbs each step. The traditional shoe is a relatively new idea if you look at the thousands of years humans have been running. Most of the time humans have been running around with either no shoes, or minimal support for their feet. This idea basically gets back to the basics with human fitness and has reintroduced how we were meant to run.